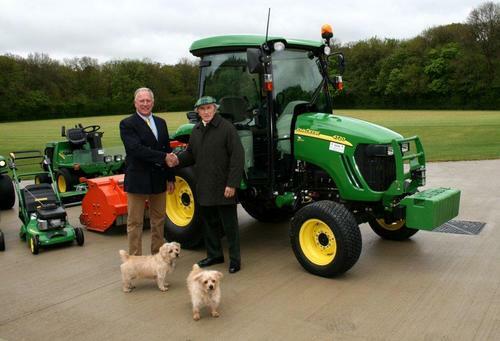 Sir Jackie Stewart OBE has invested in a new John Deere 66hp 4720 compact tractor with ComfortGard cab, eHydro transmission and 400CX front loader, supplied by local dealer Farol of Milton Common, near Thame in Oxfordshire. Nicknamed ‘The Flying Scot’, Sir Jackie Stewart competed in Formula One between 1965 and 1973, winning three Formula One World Drivers' Championships, and was one of the sport’s most outspoken advocates for better safety standards in motor racing, creating a legacy which continues to be recognised today. John Deere’s legacy as a machinery manufacturer of over 175 years’ standing was also a consideration when choosing the new tractor.